Mick is currently CEO of ExtraCare Charitable Trust, a charity that builds and operates retirement villages (including the largest in Europe) and also operates a portfolio of charity shops. Previous positions include CEO of The Student Loans Company and CEO of Advantage West Midlands. 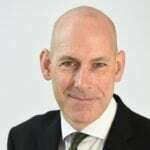 Mick has also held a number of non-executive positions in the public, private and third sectors including Governor of Coventry University, and non-executive director of the national Manufacturing Technology Centre. Serving the community, Mick is a Council Member of the University of Birmingham, and Trustee of Birmingham Hippodrome Theatre.